Quickly replace the damaged window glass is not always possible. But even a small crack on the glass or chip is annoying. 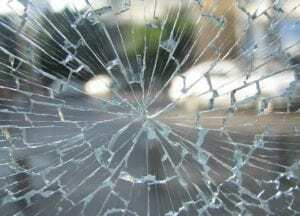 Especially, the crack can spread further, and the glass will need to be changed necessarily. Try to temporarily close the defect, especially since there are several ways of doing this repair, and none of them requires either a lot of money or a significant amount of time or effort. Use transparent silicone glue or stationery glue. In principle, this is a common liquid glass, only a different concentration. To fasten a large enough crack on the window glass and prevent it from dissolving further, glue is picked up in a syringe and inserted into a crack. If the crack is small, glue can simply be rubbed into it. Decrease the surface before repair. This kind of glue will dry up after a day. This is important if the glass is cracked in the window shutter – after 24 hours it can be opened or closed. You can fix the crack in the glass with epoxy adhesive. Recommendation: If you use glue for adhesion (any type: silicone, epoxy, stationery), stick paper adhesive as close as possible to its edges. It will restrict the surface that needs repair, and the rest will remain clean. Based on this, all glues are colorless, and the area of ​​laying will be minimal, the consequences of repairs will be almost not noticeable. You can recall, as before, gluing glass, mastered the simplest home-made aquariums. Find a small piece of ordinary foam (for example, from household packaging or office equipment). Need more acetone and turpentine. Pour into a jar glass acetone, put there pieces of foam, add turpentine (the ratio of acetone and turpentine is about 3: 1, that is, acetone is 3 times greater). We mix, wait a bit, when the foam dissolves, and the mass will become transparent and viscous. We got an excellent pail to crack in the glass. If the crack on the glass is very thin, cover it with a colorless varnish. Such fastening can last a lot – about 3 years or more. Varnish, applied from the outside of the window, does not wash away the rains. Perhaps you’ve repaired the glass, glued firmly to the crack, but the repairs are visible, and this does not suit you. Just knock it down. For example, draw on the top of the crack with an acrylic paint or glass paint for a delicate tree branch or something else. From above, cover your art with varnish. You got the original window decoration – glass painting. You can do it quite simply: go to the store for motorists and buy a repair warehouse for glass. Previous PostPrevious Why Choose a Suspended Ceiling?